Are you unhappy with the appearance of your teeth and smile? Do you have damaged, chipped, broken, or discolored teeth? Are you embarrassed to smile? We have many treatment options to help you achieve the smile you've always dreamed of. Some options to create that perfect smile are: white bonded fillings, beautiful porcelain veneers, ceramic and Bruxir crowns, natural looking dentures and the new Snap on Smile, home and in office laser teeth whitening. Over the years we have created hundreds of beautiful smiles. 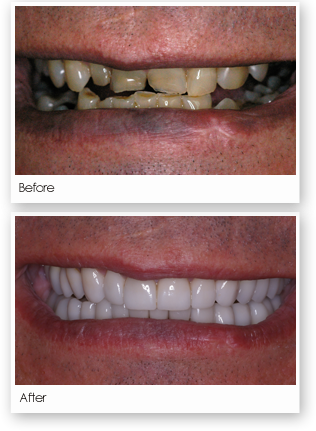 Look at the patient photo gallery to see what we can do for you.